The CIA was forced to blow the lid on its poison development objectives in the 1970s after the number of assassinations they were carrying out began to threaten not just the stability of banana republics, but also that of Washington itself. Mr. Jones, the owner of Infowars, a website that has been a thorn on the side of the New World Order for many years, was halfway through a 72-hour special radio show when he suddenly began to convulse, with his skin quickly turning green before paramedics could arrive on the scene. According to conspiracy writer Paul Joseph Watson, who has taken over Infowars in Mr. Jones' absence, doctors are unable to identify the reason for the quick anthropomorphic conversion which the renegade radio host underwent. 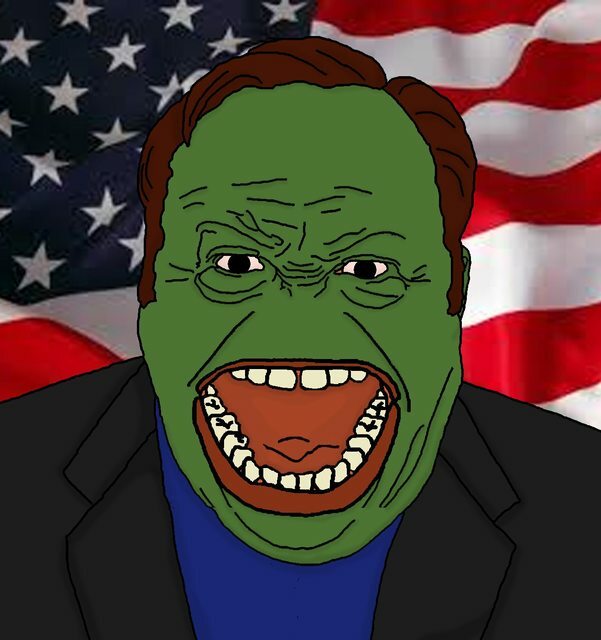 Sales of Super Male Vitality and other human enhancement products gawked by Mr. Jones' internet store have seen a dramatic drop, but Mr. Watson assures his readers that no other heavy user of Infowars pharmaceuticals has experienced anthropomorphizing symptoms. Some speculate that the success enjoyed by the CIA with Project MK-NAOMI and the development of its dart gun, or "nondiscernible microbioinoculator," was followed with subsequent biological weapons experiments in the New York City subway to change the gender of some of the city's inhabitants. Teenage Mutant Ninja Turtles was just a cover for Project MK-TEMUNITU, with the CIA successfully developing the ability to turn a grown, heavy Texan man into a green, anthropomorphic frog. The CIA's latest attack against a private citizen inside of the United States just goes to show the depths to which they will sink, and their animalistic takedown of Mr. Jones sends a direct message to President Trump: should he continue stepping on the toes of the globalists, he will be anthropomorphized.